No matter how great or successful a walk event is, there will always be that forward thinking question of “What can we do next year to make this an even better event?” Often times this can be a question that arises even before the current year’s walk is over. It’s a necessary thought process to continue to grow a cause year after year. The event coordinators using Stride have already started generating ideas, ranging in scale and scope to make 2016 the best year yet for their walk events. We’ve broken down their ideas into three buckets: pre-event, event day and overall culture. Leading up to a walk event, there is a lot of opportunity to build momentum. 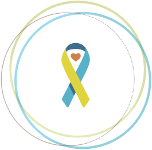 Alaska National Down Syndrome Congress and the Down Syndrome Network of West Virginia have both noted that one of their goals for 2016 will be to start earlier in promoting their walk so they can raise more awareness and get more community members involved in their event. Several Down syndrome organizations are also looking at experimenting with team incentives next year to encourage teams to register and fundraise early. Many event coordinators are also looking to make modifications here and there to their event day structure to enhance the experience for participants. The Beckley Buddy Walk® would like to add more kids’ activities to their event so there are more entertainment options for families. SMILE on Down Syndrome’s Smile Mile is looking at changing event day food from in-kind donations to separate food sponsors, whose dollars will be used to purchase various food for the event. Buddy Walk® of the High Country, after receiving feedback from team captains, is looking at changing the time of day of their event because of the hot temperatures this year for participants. There are some organizations too that are making gradual shifts to the culture of their walks. Green River Area Down Syndrome Association is one of several organizations looking to continue encouraging a teamraising approach. Next year, they hope to engage more with team captains, better plan and execute incentives, and provide tutorials on how to best utilize the tools available to team captains on their Stride site. Similarly, Montana Down Syndrome Association would like to add a social event/workshop at the end of spring to help families create their team fundraising pages (giving them tips on adding a photo and a personalized description to the team bio). Another cultural shift that event coordinators mentioned is motivating the community to register earlier for their walks. The sooner a team captain and their team members are registered, the more opportunity there is for an event coordinator to encourage them to fundraise, help them personalize their team page and set a goal, and help steward a team’s fundraising success and therefore, the overall success of the event. One walk site is discussing the idea of charging different amounts as the event nears so participants register early. Other sites have set a guaranteed t-shirt registration deadline, where only participants who register by a certain date will be guaranteed a t-shirt in the size they request (a great motivator!). As with every event, there are always wins that will be celebrated each year and ideas that will come about for how to make the next year’s event an even better experience. As you look to plan for your 2016 walk event, we encourage you to embrace some of these takeaways from your peers.